Clifford Jackson (Jack) Crocker was a man who loved classic cars, good music, family, animals, the lottery, and, of course, his home state of California. Being born in Monterey Park, Calif., Jack was loyal to his Southern California heritage and the vintage cars that embodied that area. On April 18, 1945, his parents Violet and Samuel Crocker brought Jack into this world. He was drafted in the Army, and served his country during the Vietnam War, and received his GED after serving in the military. During his time in the service, he met and married the love of his life, Mary Ellen Cassin, and tied the knot in Las Vegas on August 9, 1970. They had three children together; Kasie, Jennifer, and Jack. After moving to Oregon, Jack started work at the Oregon Lottery in 1992, retiring there after 25 years in 2017. When he was not working, Jack spent his time enjoying classic cars, and always had a dream to restore these cars, specifically a ‘40s Ford, ’63 Impala, and a ’68 Triumph Bonneville Motorcycle just to name a few. Jack was a wonderful mentor, great storyteller, a hard worker, and someone who took great care of his family. His attention to details made him special, and he always had quirky sayings that left a room laughing, confused, delighted, or all of the above. Jack will be truly missed. Jack is survived by his wife Mary Crocker; daughters Kasie (Dennis) Paynter, and Jennifer (Brett) Freeman; son Jack Crocker; and brother Jim (Barbara) Crocker; and was preceded in death by his parents Violet and Samuel Crocker. 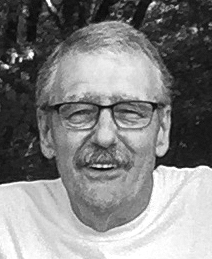 Services in his honor will be held at Keizer Funeral Chapel on Saturday, April 21, at 11 a.m. with a reception afterward, located at the Pour House in Keizer, Ore.